Running Man is a South Korean variety show and is part of SBS's Good Sunday lineup. It first aired on July 11, 2010 and is one of the longest running variety programs, having aired over 240 episodes. Many of them have been excellent, but some of them have been truly ground-breaking television events. Below are the ten episodes that mark the transformation of Running Man from a fun variety show into a monumental TV program that continues to elevate the quality of Korean entertainment. What do you think are the greatest episodes of Running Man and why? SPOILER ALERT: Contents below contain winners of the episodes and other details. Each player was paired with an SNSD member and the pairs then battled it out to become the episode’s best couple. In this episode, the men met their match. Many female guests of Running Man simply end up being eye candy. They’re nice to look at but never really contribute much to the comedy or to the games. This episode is the first time the girls actively participated and really added to the entertainment value of the show along with the men. This episode set the standard for the couple race. There have been many couple races in the past but this episode certainly set the standard in terms of comedy, competitiveness, and unpredictability. The teams must earn the running balls. The location: Seoul Museum of History and Gyeonghui Palace. The role of commander and the two kids was solidified. In Running Man, as in all variety shows, characters and roles develop over time. One of the most memorable groups to have ever formed in Korean variety entertainment is the commander and the two kids, a group that was established in this episode. This episode had the funniest leisurely tea. Many remember this segment for Kang Gary’s surprising romantic remark about Song Ji Hyo, when there was the first hint of romance between the two. However, this was also bigger than just that comment. Overall, this is the funniest leisurely tea segment the cast has ever done. The cast proved they could sustain over fifteen minutes of doing nothing simply because they are very funny. The production team showcased old videos of the cast, choosing videos that showed the “hardships” members went through to get where they are. Some of the moments were emotionally touching for the audience. Members are put in a building and told that a zombie is on the loose. They are on lockdown until the zombie dies. Usually, episodes are linear and the audience learns of events in chronological order, but this is the first episode where the PDs used flashbacks. They reveal outcomes first before showing the events leading up to specific, important moments. A good example is when Song Ji Hyo ended up helping Kang Gary rip off Kim Jong Kook’s nametag. It was revealed later on that Kang Gary had allied with Song Ji Hyo, which made certain events more surprising and unexpected. 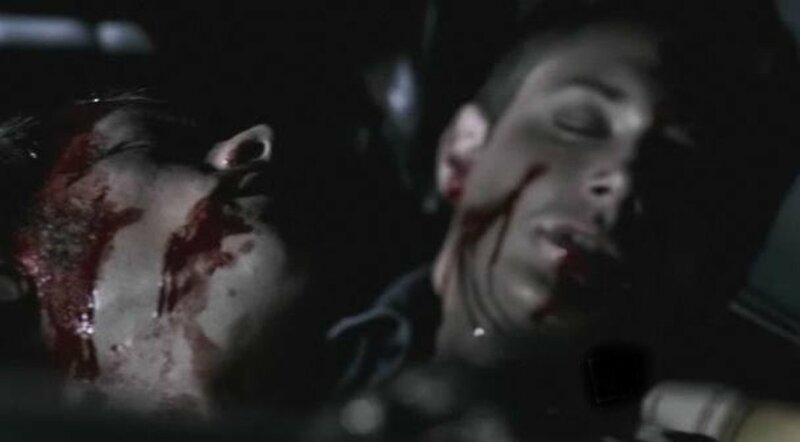 This was the first horror episode of the show (and a successful one at that.) Another show, Infinity Challenge, created a vampire episode several months after this one and it fell short of expectations, showing how hard it is to pull off a horror episode as well as Running Man. Use of plot (like a movie). This is the first episode where there was a narrative and it felt like a movie as the game’s progression was revealed to the audience. Running Man competed against seven idols. Though it wasn’t the first time that the whole RM cast competed as a team, it was the first that the concept of appearance vs. humor was blatantly flagged in the show. RM competed as a whole team. Their battle against Big Bang was the first time that RM competed as a full team against another group. However, since Big Bang has only five members, Running Man was given a handicap, effectively clipping two members. This episode is the first time the whole team was pitted against a group of guests with an equal number of members. One team must eliminate the snake and one team must protect it. The location: Jangsado Sea Park. The episode probably has the best nametag-tearing battle I have ever seen. Though the best one-on-one nametag-tearing battle may go to Kim Jong Kook and Chu Soong Hoon in Episode 131 (which is also the highest-rated episode of all time), I think this episode takes the cake in terms of general nametag-tearing chaos. There were so many confrontations when all the members were just going at it in one location. Kim Jong Kook met his match. There have been many guests that have proven they can take Kim Jong Kook in a one-on-one nametag-tearing battle, like Chu Soong Hoon and Kim So Roo. However, physical strength is not Kim Jong Kook’s only forte; he is also an extremely smart player. It was hard to find someone who could match him in both departments. This is the episode that may have proven that Kim Jong Kook finally met his match in the person of Jung Yong Hwa. Jung Yong Hwa has appeared in Running Man many times and proved he can both run and think, but his appearance in the Hong Kong episode and the Snake Race showed he also has physical strength. Running Man faces an old nemesis, Choi Min Soo. The winning team must save the members and escape the landmark. Location: Incheon Culture & Arts Center. Yoo Jae Suk vs Choi Min Soo. Running Man has several on-going “narratives,” which include “The Best of the Best”, “Idols vs RM,” and Yoomes Bond. However, it’s the Choi Min Soo series that could be the greatest of all. Only Choi Min Soo can make the whole RM team tremble in fear, and it’s all because of Yoo Jae Suk. Their second confrontation is the best display of how closely they are matched-up. Choi Min Soo proved just how creative he can get in making RM look like a fool without losing the spirit of the show. This is probably the first time the show used live special effects. The production team helped Choi Min Soo set up the whole venue to make it feel like a giant play house complete with lighting effects and other props. Choi Min Soo is the first guest of RM to have a continuing plot line on Running Man. This episode is his second return (and third appearance overall). With this episode, RM confirmed that they can and will bring back past stories with great success. RM is divided into two teams. After a series of mini games, they battle it out in a game of baseball with a twist. When Running Man was first recommended to me, I was told to watch the Big Bang episode and I didn’t like it. 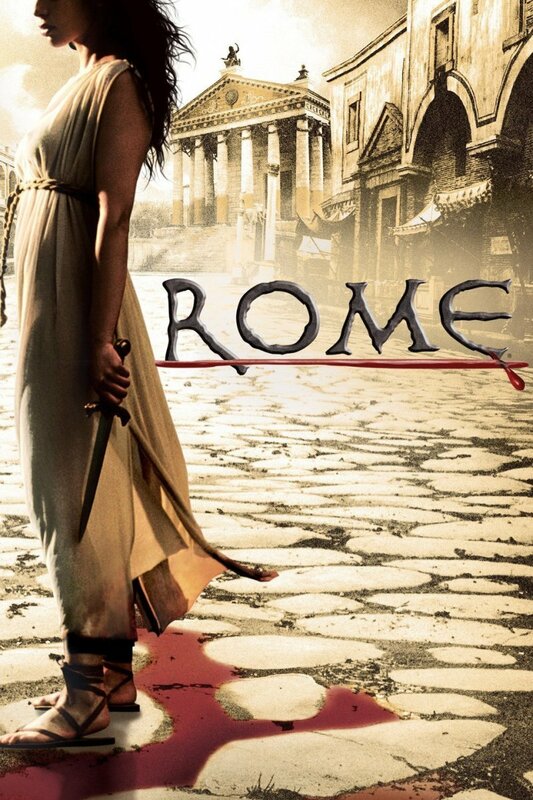 I watched this one next, though, and was totally hooked. I had no biases and certainly didn’t know the characters well enough to look forward to anything. However, the whole show had so many twists and the cast was so funny that I literally didn’t stop laughing from beginning to end. Putting a twist on a classic game. Baseball is an old game and an international one at that. This episode showed just how brilliant the production team is by taking even the most well-known game and putting their own spin on it. Divided into several teams, RM battles it out in mini-games that lead to a final game. Members of Running Man always beg for Idol female guests but the best episodes with the craziest and funniest moments actually come when they get guests they can mess around with. This episode featured guests that were both comedians and long-time friends of the cast. It allowed everyone to relax and have some fun since they weren't thinking too much about the competition until the end. It showed strategizing and manipulation at its finest. The PDs set up challenges that literally inspired members to put their best game forward and be as manipulative as possible. They had to strategize in order to save themselves and their teams. Tear off other members’ nametags. Last man standing wins. No guests. It's each member for themselves. This was the first time individual members were pitted against each other for an entire game. Though this wasn’t the first time the show didn’t have a guest, it was the first time the production team set the members against each other to declare the first ever individual winner of an episode. A long-standing strategy is born. Since Kim Jong Kook has always been the strongest and has never shied away from it, he’s been a constant target of other members. However, since this was the first individual competition, the strategy of ganging up against Kim Jong Kook before taking out each other was born and solidified. From the first episode of RM, you could clearly see the strengths, weaknesses, and potentials of each member and in this episode, those impressions were confirmed. SJH and YJS are the cerebral ones, KJK is the strongest one and Haha and KG will most likely stick together. However, each player has more potential too. KG can pull out surprises, Haha can remain faithful to his alliances, and YJS is not only smart but also a great strategist. Each member was given a superpower i.e. the man who controls time, the man who controls space, the man who has a 6th sense, the death note, the man who can multiply, the man with three lives, and the seer. This is the first episode using the superpower concept. Even now, the cast members, guests, fans, media, and production team continue to refer to the events and characters in this episode because it was so iconic. This episode is the turning point of the show as it changes from being a challenge-based variety program to something unique and great. Running Man is the first variety program to execute a superpower game and intricately combine the superpowers with the characters and events. This is also the first time you can clearly see the style of each member and how they’re evolving in the way they play the game. Some strategized, others manipulated, a few chose to attack, and the others waited. Which team/relationship do you like seeing together? 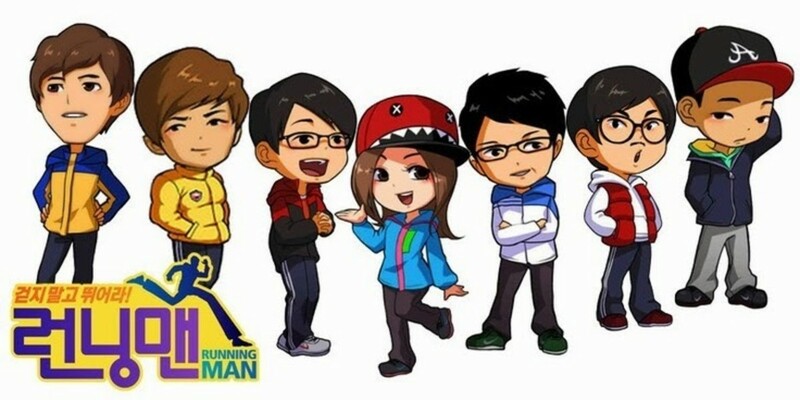 Who is your favorite Running Man? Thank you so much. First saw this show briefly on BTS vid and thought the cast was hella funny. Noticed there was a 100s eps so took up your advice and I love all 10vids. It has also helped me know all cast members quickly and their charms. I don't think Choi Ji Woo won in Episode 127. CJW was on the other team with RM members (except Gary and Ji Hyo). love all of these, but i would like it if you added a park ji sung or yoomes bond episode. I know this is late, but Yoona didn't win with Yoo Jae Suk, Seohyun did. I always felt Mr Random Capable was the best running man member and this list helps prove my point. In 7 out of the 10 episodes listed, Gary was the winner or part of the winning team. I like the episodes where they draw moles on eachother, oh wait dude, that is like half the episodes! I personally think episode 225 (the technician), episode 116, episode 110 (actually the ending of 109), yup I really like themed nametag rip-off battle, and any of the boat-making-han river-crossing episode (178, 187) should make the cut, if not the top 5. @fika_nofa... because there has not been an episode since ep 128 that deserves to be on this list. there's been some good ones since but none has been great enough to have the funny and breakthrough elements found in this 10. also, when you want to be sarcastic, don't state you're being sarcastic. it takes away the essence of being sarcastic. So rude. I was gonna watch the zombie episode but you spoiled who the winner was and I hate that. It annoys me omfg. - Superpower episodes. Baseball and Soccer and Running heroes. - Secret couple mission of Jong Suk ang Ji hyo. They're perfect. Gives me "kilig'. This episode makes me crave for more of RM. - China episode. Where Ji hyo followed and become the clprit after her shoot in Korea. - Episode 151 and 152. Woo Sung. - Episodes where Suzy became guests. - Cruise ship episode. Song Joongki is so sweet in here. and the Monday Couple's titanic scene. - Ep. 48 The sleeping Ulgwe episode. Loving Jihyo here on how she outwit the RM boys and won. Girl Power! - Kwang soo fan 'Hyemi' episode. this is just a shortlist. literally short coz i can't type everything. hahaha.. I just started watching RM because I'm searching for Lee Jong Suk and Park shinhye's shows other than drama. I didn't imagine being hooked up to this crazy funny casts and PDs and challenges that it made me RM watch 3-4 episodes every night after work. A fan of Kwangsso and JiHyo! Did you really had to put spoilers in this post? Man, i just want to get some recommendations but you guys just told me how every one of the BEST episodes ends. This post almost ruined the entire show for me. Thank god they had more than 200 episodes to watch. Anyway, thanks for ruining the best running man episodes for me. I love monday couple ❤️ Kang Gary and Ji hyo. verry funniest is Kwang soo! hi do you know the running man episode with dinosaur? You were pretty spot on with the episodes listed but I would have all 3 Running Man Hunter episodes listed, Choi Min-Soo is the best guest ever on Running Man. On a personal note I would include episode 39 because I just love Sunny so much. Ep 147 is also nice. I laughed several times on that episode. Kim Soo Hyun is very energetic and did his best in every game. My Fav is EP 132!!! mst watch!! I like the prisonbreak and rage virus episode.. It has storyline and the concept is just wonderful!!! Ep 147 should be there somewhere it was really funny. I love Ep 115 with TVXQ and Olympic Idol Race are one of the best for me. ep 55,75,153,154,162 are also my fav.thanks for your list. Thanks for these list. It really helped me a lot on what to watch. However, i really like the Park Ji-sung's episodes. He's really good and funny. @Jenny i just might take your advice. I will update this list every so often. The Shinhwa episode, i think, should be on the list. it's the first time RM lost ALL games. This post needs to update at least once every other month! Great round-up. My vote goes to the Superpowers episode, indeed a breakthrough in a battle of wits, improvising, strategising, and quick thinking. However, it's a pity that my two favourite episodes - the prison Yooruce Willis and Sherlock Holmes on cruise - did not make the cut. Nice post! I just love this greatest Running Man Episodes. great article and my favourites are close to yours. i hope you can write more of your thoughts on all RM episodes, its nice to read and helpful.